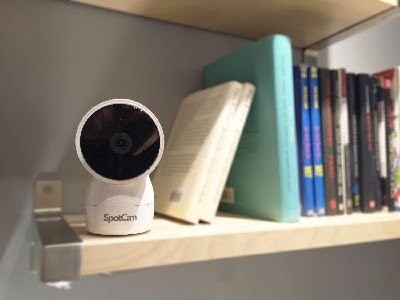 March 22, 2016, Taipei Taiwan - SpotCam Co., Ltd., today announces the SpotCam HD Eva: a complete, user-friendly IP webcam solution for homes and small offices. 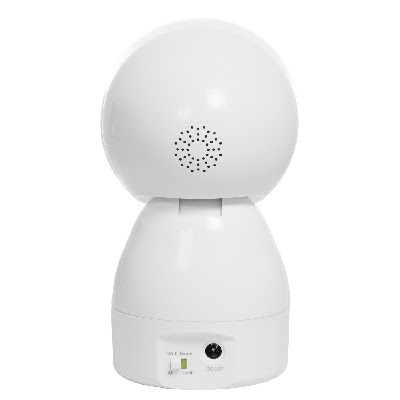 The HD Eva can pan and tilt its wide-angle lens to monitor pets and loved ones anywhere in the room. With pan and tilt, SpotCam HD Eva users can eliminate dead zones in their high-quality camera footage with full 360-degree horizontal movement and 70-degree vertical movement. 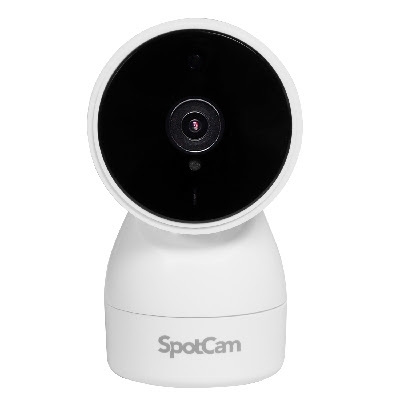 Users can remotely control their camera from anywhere with the SpotCam app or from a web browser. SpotCam is proud to be the only company offering customers free unlimited 24-hour cloud continuous video recording out of the box. Unlike other camera companies, this plan isn't limited to motion-detected clips: SpotCam users can rewind and review a full 24-hour's footage at any time without paying a subscription. Footage is safely saved in the world's most secure cloud servers from Amazon. The SpotCam HD Eva provides clean HD 720P video with advanced H.264 compression, so it doesn't hog precious network bandwidth at home. With an improved 18 IR LEDs, it sees more in the dark compared to other indoor wireless IP cameras. Built-in motion and audio detection can be configured to provide instant notification of unusual activity. SpotCam HD Eva sets up in just minutes with apps available for iOS or Android smartphones, tablets, or any computer browser. Once it's recording to the cloud, users can monitor footage remotely using any of these devices. SpotCam includes a built-in speaker and microphone for two-way audio to communicate with pets and loved ones. It supports up to 8x digital zoom. Users can also use the SpotCam app to easily make timelapse videos – convenient for reviewing bulk footage in a short period of time, or just for sharing with friends! SpotCam HD Eva is available now for $199.99 on Amazon.com. 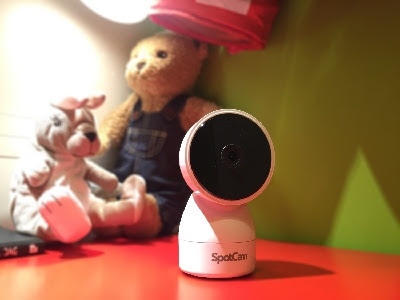 Selected by Taiwan's Angel Investment program as one of the hottest new startups, SpotCam, founded in 2013, is composed of a team of entrepreneurial individuals with years of experience in the CCTV industry. Drawing on expertise from developing Wi-Fi DVR and NVR surveillance solutions, the team has created SpotCam, a cloud based system that combines the safety and security of the CCTV industry with the accessibility of the mobile market. Find out more about SpotCam here:https://www.myspotcam.com. Bluehost is definitely the best website hosting provider for any hosting services you require.